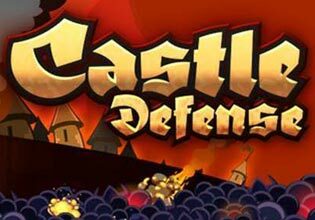 Defend your castle in a relentless battle against hordes of terrifying enemies! Play as a range of characters, including Severidric the wizard and Gendra the princess and stop orcs, trolls, bats and other scary creatures from invading your castle. Along the way collect coins that allow you to buy special power ups, such as magical staffs, fireballs and poison. You'll need to use all the magical spells in your power to help you succeed in your quest to keep the evil forces away!